We hold services nearly every Shabbat and for most festivals. Exeter is not affiliated to any of the movements and we hold a variety of service styles. For some services, men and women may sit together, and the service is conducted mostly in English. For others, we may ask men and women to sit separately, and the service may be more traditional in style. We try to make all services accessible to everyone regardless of previous preferences. Visiting rabbis and service leaders are welcomed from a variety of denominations. For further details of the proposed services for the coming weeks please click here. Dreidl Dribblers meet on the first Saturday afternoon of each month - All parents, grandparents and children under school age are welcome. For more information please click here. Nitzanim meet every Sunday - All parents and children are welcome. For more information please click here. A Basic Biblical Hebrew class meets on the University campus on Friday afternoons. For more information please click here. 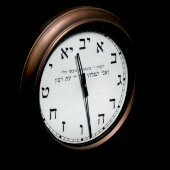 For those of you who want to discover more about Judaism, Jewish Life and Israel, here are some good links to help you get there quickly. We have agreed a Health and Safety Policy. It should be read by anyone with business in the synagogue and followed at all times. There is a great deal more about the history of the community here. Our archives have been deposited with the Jewish Genealogical Society of Great Britain. In particular, there is a link to an extensive section devoted to information about Rabbi Dr Bernard Susser z"l, now available through the Jewish Genealogical Society of Great Britain.